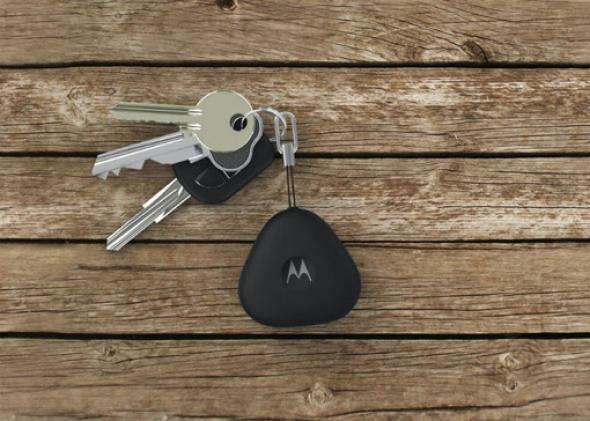 Motorola’s Keylink is a fob on your keys that can beep or call your phone. A small fob that could make your life a lot easier. It’s great to be able to control the thermostat in your house from bed or check carbon monoxide levels from your office, but smart home devices still haven’t solved some of our most basic problems. If they had, no one would ever misplace their keys or smartphones again. Finding such a fix is a noble goal, and Motorola is working on it. With its new Keylink fob, the company gives you the ability to page your keys from up to 100 feet away using an app for iOS and Android. And if you have your keys but can’t find your phone, the fob has a button that makes your phone start ringing from up 100 feet away. Of course, if you lose both your phone and your keys, you’ll be in a tougher situation, but you should be able to log into the app on someone else’s phone. Keylink is $24.99, and Motorola says the replaceable battery will last for a year. If you don’t lose your keys often, that might sound kind of steep for a little dongle, but for some people it’ll be totally worth it.